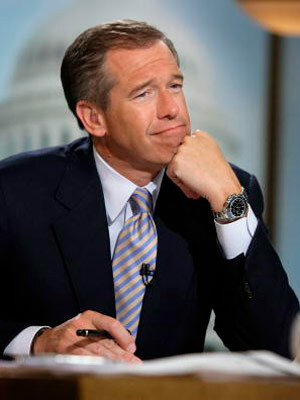 photo credit Why did I put a picture of Brian Williams? Because it’s my blog. It was hard, since music is a huge part of my life. It wasn’t as hard as I thought it was going to be, but it wasn’t without its slip-ups. I noticed it is very hard for me not to “extreme multitask” in the morning when I break my technology fast. I immediately want to open 5 tabs on my browser, watch the news on tv, sip my coffee and be in the garden outside. This week I have learned that news in the morning is pretty pointless. I mean, Brian Williams isn’t even on at that hour, so who cares? p.s. I LOVE brian Williams. That was a sort of relief on my psyche – I don’t need morning news! Getting into the no music in the car portion, that was a toss-up. In the mornings on the way to work, it is extremely pleasant and helpful to have silence. I can think about the day ahead, focus my thoughts on what I want to achieve that day and I can listen to my car. That was something I hadn’t done in a while. I learned that not only do I need an oil change, but I definitely need to have a couple of other things looked at. Usually my cure for that is to crank up the music louder. The drawback in the silence in the car though came after work. All I wanted to do when I hit the driver’s seat at 5:05 was crank out some tunes. I learned that’s when I need it most. To shake all my stress about work out so it stays at work. The gym is another place that I cannot stay silent. What made this week especially hard was the fact that I just got a new mp3 player and only got to use it once before the Silence took effect. Which I think the Harpies at the gym may have gotten wind of, because they seemed to flock near me more so this week. *grumble grumble* I am very excited to drown out their inane chatter today! But I have learned that music makes more of a difference than I thought when I work out. I learned I can go for longer, faster periods on the elliptical if I am listening to the Hives and extreme upbeat tunes like that. So I am doubly excited to go to the gym now to crank out some Tyrannosaurus Hives, and the like. But I have learned quite a bit about focus; if I’m not watching the TV, turn it off. I don’t always need to be listening to music while I surf, and Harpies will flock near the person without headphones at the gym. p.s. a couple of you asked what I would listen to first when the week was up, and let me tell you; the first thing I wanted to hear was the bluesy croon of Jack White. Glad to hear it went well. Kids today (cause I’m so old and all) seem to have their iPod machines going 24/7 and I always wonder, aside from crippling their ability to hear cougars sneaking up on them, what they are missing out of life. Sounds silly, but there’s something to be said for actually taking in your surroundings, sound and all.